What's Your Favorite Jam? And What's The Best Kind of Bread to Put It On? The In the Kitchen with David team has arrived in Ypsilanti, Michigan for our live broadcast this Sunday at Noon ET! Why Michigan? And why Ypsilanti? It all goes back to our Road Trip Contest. Haab's Restaurant was our lucky winner, thanks to loyal patron (and contest-submitter) Dwight. And Mary and I just fell in love with this all-American town when we came here last month. So, we brought the show! The whole town is just buzzing with excitement today. In fact, I think they’ve declared today a national holiday here in "Ypsi" because we’re meeting and greeting folks from all over town and it’s just been AWESOME. I arrived in Michigan just this morning. But, our lovely Mary has been here for a few days and she stopped by Eastern Michigan University yesterday (which is located right in Ypsilanti) to check things out. Take it away, Mary! If you’re in the Ypsilanti area, do stop by and say hello this weekend. The live show starts on Sunday at Noon ET, but tomorrow, there’s an ITKWD meet-and-greet at Depot Town Farmers’ Market located at 100 Rice Street, Ypsilanti. We’ll be shooting some footage to support our garden-to-table theme in the morning, but from 11:00am to 1:00pm, you can stop by and chat with me, Mary, Jonathan, and lots of folks from the show crew. But, if you can’t up-and-come to Michigan this weekend, be sure to check my Facebook and Twitter pages for all the action. I’ll be posting as often as I can! So what’s our next recipe to support our garden-to-table month theme? Pepper Jam! And, IT'S OUR 350TH RECIPE ON QVC.COM!! I love it when we hit these milestones! 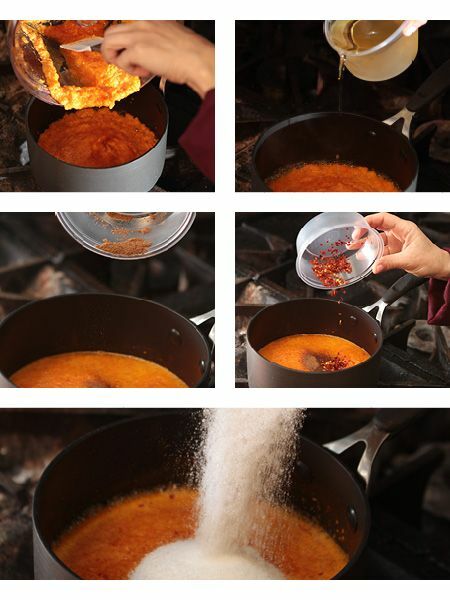 After you read through it, check out the step-by-step recipe photos so you can see how easy this is to make. This recipe is prepared with the Technique® 10-Piece Hard Anodized Dishwasher Safe Cookware Set (K36575). 1. 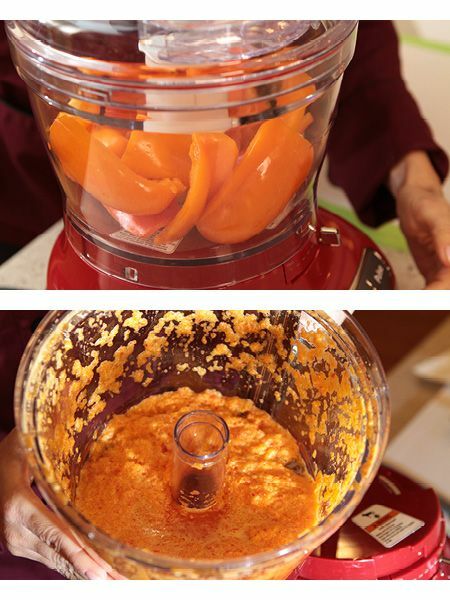 Purée the orange peppers, red peppers, and sweet peppers in a food processor. 2. 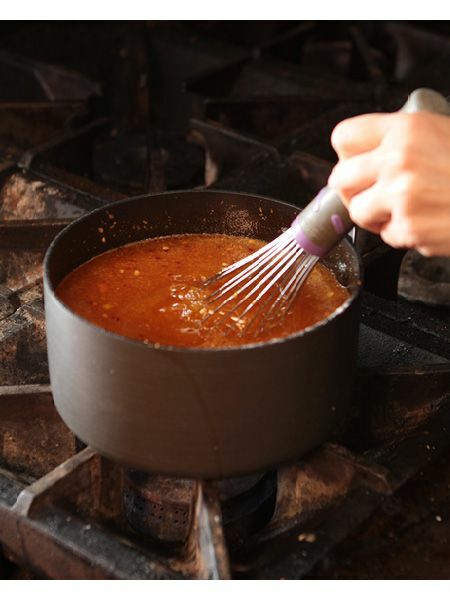 Place the pepper mixture, vinegar, nutmeg, pepper flakes, and sugar into a medium-size saucepan and bring to a boil over medium-high heat. Continue to cook for 5 minutes over medium heat. 3. Slowly add the pectin and return to a boil. Cook for another 2 minutes, stirring constantly. 4. Pour the mixture into a sterilized jar and make sure to seal it. Place the jar in the refrigerator to cool for 12 hours. Here are your visuals, foodies! 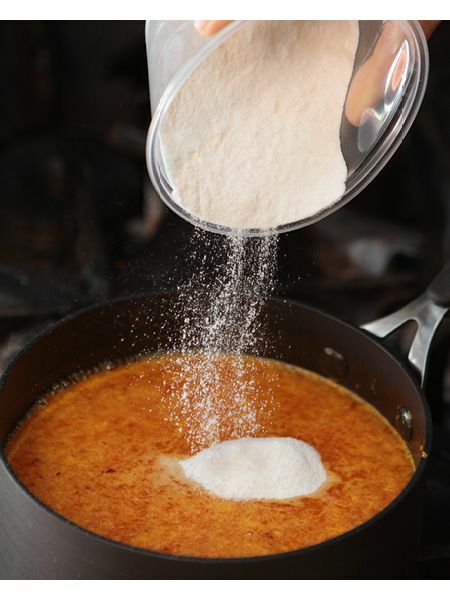 Place the pepper mixture, vinegar, nutmeg, pepper flakes, and sugar into a medium-size saucepan and bring to a boil over medium-high heat. Continue to cook for 5 minutes over medium heat. 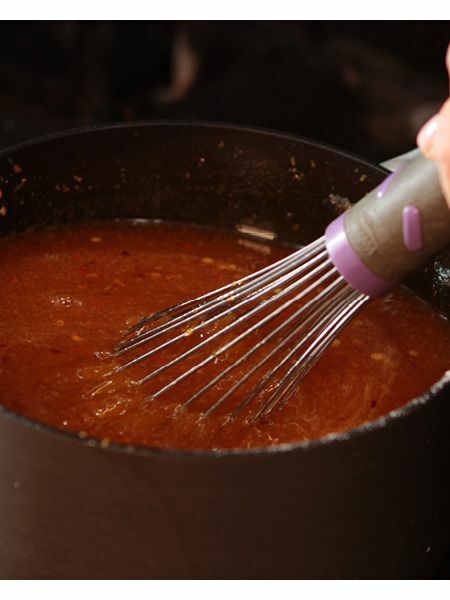 Return the mixture to a boil, and cook for another 2 minutes, stirring constantly. 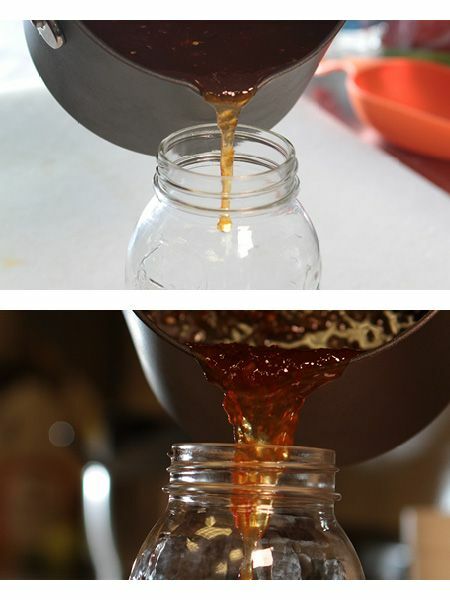 Pour the mixture into one large sterilized jar or a few smaller jars. Place the jar in the refrigerator to cool for 12 hours to cool completely and you’re done! 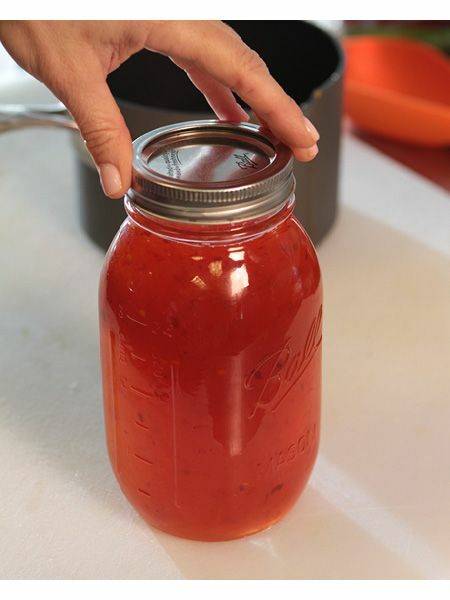 I bet you never knew it was so easy to make homemade jam—and from peppers, at that! Double or triple this recipe if you’ve got a plethora of produce to use up—or you’d like to make holiday gifts. But, if you want your jam to last longer than a few months, you’ll want to go the hot-water route to get that air-tight seal. Check QVC.com for a starter canning kit! I’m off to get some dinner in downtown Ypsi! Haab’s—here we come! Before I go, here’s your blog question: what’s your favorite kind of jam? Raspberry, blackberry, maybe classic grape? And what is the best kind of bread to put it on? Multigrain? Whole wheat? 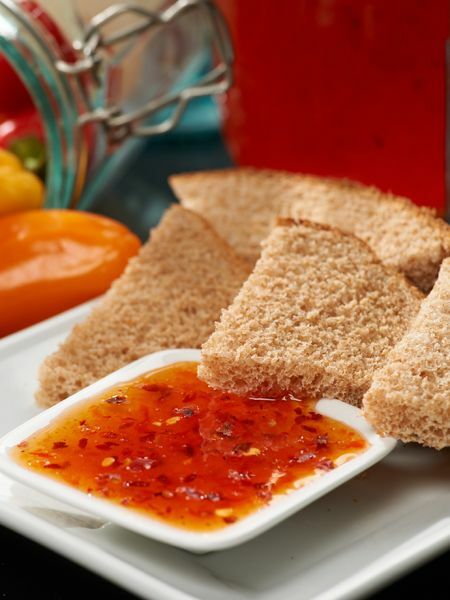 I’m a sucker for pineapple jam, although this pepper jam really hits the spot on a crusty sourdough bread….YUM! We’re live from Ypsilanti Sunday at Noon ET! See you then. P.S. One last thing—the Food Awards end this Sunday. If you haven’t voted for your favorite foods, be sure to do so!